Communicate a professional image with business cards printed by PGprint. Make sure your cards are professionally done using custom business card printing from PGprint. So nice and easy to upload files. Had full order done in less than 5 mins. Thank you!! I’ve been using PGPrint for years — great quality, service and pricing — I’ve probably ordered over a dozen sets of business cards and they’ve all turned out great. PG Print is a great company- easy to deal with and the pricing is right. Easy to work with, great upload feature, fast shipping, and hassle free. I would use you guys again and again. I’d really like to see PGPrint add premium features such as thermography to their business cards. Excellent work and wonderful customer service from PG Print. Business cards were received as ordered. I am so happy with the quality of the product and the helpfulness of the staff (I had an “operator error” issue) that I will be ordering brochures next. I love, love, love this company! We are a 501(c)(3) non-profit rescue and money is tight! PGprint.com produces quality products at an affordable price so when our volunteers contribute to the cost of necessities, they don’t fuss! We receive so many comments on the color and quality of our business cards, it makes us proud! On my most recent order, we were in a bind, needing delivery sooner than anticipated, and PGprint.com came through for us, getting our cards out of production and on the road to arrive in record time! I wouldn’t use anyone else! The business cards I ordered were spot on. The paper options are very nice, and the print quality is superb. The entire process, from receiving file specifications to produce custom, camera ready art, obtaining fast & courteous customer service when questions arose, and receiving the cards when promised, resulted in a very positive experience for both me, the designer, and my client. Eric G., and the entire PGprint.com team, are professional, knowledgeable, friendly, thus, great to work with. I will be utilizing their five star service and affordable pricing for additional projects, again and again. Go ahead…sign up with PGprint.com for your next project. Great service, the business cards look exactly like our design, great color quality, and very easy to use website procedure to submit and approved the design of the business cards. These business cards are fabulous! The paper and color quality is great and the prices are low. They have a very helpful and courteous staff. Got all 3 orders of business cards for new employees. As always, they are perfect. Your staff is great, helpful & efficient. I have some more projects coming up. Hey, I loved the brochures as well- good work. Fabulous. Look great color is crisp, service was great. Will definately order again. Great price and great quality along with a fast turnaround on the order. These guys are great! Excellent customer service and very attentive to details. I have ordered many times from PGprint and have always been pleased with them and their products! Our company have been ordering from PGPrint for at least 3 years now. I haven’t gone anywhere else. The prices are reasonable & they have great customer service. One of the jobs I had with them was botched and they were quick to correct the problem. It’s hard to find companies these days who stay accountable. THE ENTIRE STAFF @ PGprint is Fabulous to work with and the product is TOP QUALITY, ON TIME and @ a PRICE THAT CAN NOT BE BEAT !! Love you guys and thank you for you excellent work. !!! I continue to be extremely satisfied with the price, speed of delivery, flexibility and most notably, the creativity. This is the kind of print shop is perfect for small businesses like mine. Great service every time. I do my own design work and it comes out like it was designed. Excellent value and quality! I am a repeat customer and continue to choose PGPrint over Vistaprint. Can’t go wrong with this company! You simply can’t go wrong with anything you order form PGPrint. “Correct and on time” is more than a tagline for them. I had great support from Vicky during the ordering process. The square business cards I ordered were perfectly printed, packaged and delivered. The cards arrived right on time, and they are perfect. As long as business cards or other printing is needed by our organization PGprint will always have our business!! This was the first time I used PGprint and I was pleased with the options and pricing. The cards were made to be memory verse cards for kids at VBS with lots of color and pictures and it was really good! The only thing is that some were cut very slightly crooked and some of them were printed a little off, as in the straight line wasn’t exactly parallel to the bottom edge. I don’t think the kids would notice anyway. I would definitely still order from you again! This was my first order from PGprint.com, and I am very pleased with their work. The business cards are well made, and they were prompt, and reasonably priced. Great pricing and quick turn around. Very easy to work with. Will definitely work with again in the future. Always a little nerve racking to place an online order that requires upload a new artwork design file. The staff at PG Print are awesome. From the initial “chat” prompt online (where a real employee cheerfully answered my questions) to the timely call back that I received from Eric in pre-press (who volunteered his expert eye to double check the bleeds & safety crop lines) – this team is excellent at printing. The business cards are stunning. Color match precise. Great price! An experience worth raving about. PGprint is the best, have been my wholesale place for years. Thanks Eric and team at PGprint! Responded to my questions happily, high quality work, great price and quick turnaround… couldn’t get much better. Eric has tons of patience and is proud of their work, and front office staff is also great to work with. Recommend PG Print highly! I like to print with Pgprint, they are very efficient, the website is very easy to navigate and to make an order is very easy, they always solve you quickly if there are problems, and they do not proceed with the order if there is an error in the archive. (PGPRINT I recommend them absolutely) the impressions are excellent of very high quality. 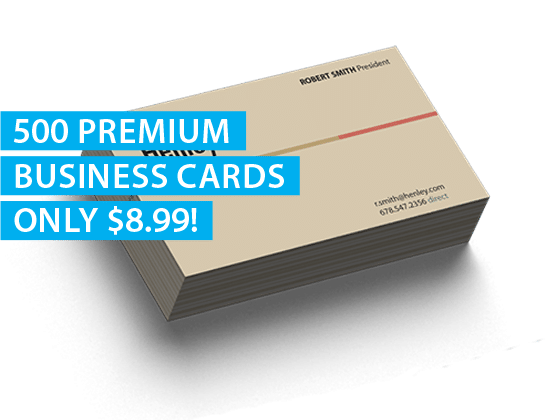 The promotion for 250 Free Business cards has been expired for several years. We are sorry that you found this promotion on the internet, this is NOT a bait and switch tactic. We have worked diligently to remove all of the references to this expire promotion, but unfortunately that vast majority of them are on sites that we do not control. Please let us now where you found the promotion and we will endeavor to have it removed. Excellent service. Fast reliable. Buisness cards are professionally made. I definitely recommend. I found a print company in Georgia that I LOVE!! As always they looked amazing, better than I could of imagined !